The fisherman loosed her and she dove back into the water the way a wild thing returns to a wild place, and he watched her go. But…his loneliness snaked into her, and she was sorry for it, for that loneliness caught her more surely than the net. Amelia – a young, restless mermaid – spent her entire life in the ocean with her family. Yet, despite the security and safety the deep ocean offered, she couldn’t stand it. So, she swam off to discover the mysteries of this world…only to be caught by a fisherman. Terrified and helpless, she thrashes and struggles as she’s hauled to the surface. Yet, he immediately sets her free. He knew he would never see her again, and in his on practical way thought at leas he’d seen her one time. That was more than most fishermen. He’d touched magic, and he should not want for more. And so, puzzling over this odd human, she swam back to his little fisherman’s house and joined him there. They spent many long and happy years together. Decades later, as she mourns her true love, she decides toseek another adventure. However, this time the adventure came right up to her doorstep – in the form of P. T. Barnum and his museum of oddities. He wants to hire a mermaid and she wants to see the world. It’s a match. The beginning of this one is simply enchanting – the dynamic between Amelia and her fisherman felt so natural and easy. Every line Christina Henry wrote just had this magical, ethereal quality. She loved him almost as much as she loved the sea, and so they were well matched, for he loved the sea almost as much as he loved her. The book almost felt like two separate stories – especially considering the striking difference between the love story set in a sleepy seaside town and the wild and bustling 1840s New York. I did slightly prefer the first half of the book (what can I say? I’m a sucker for the first love of any character). That being said, the second half was still riveting. 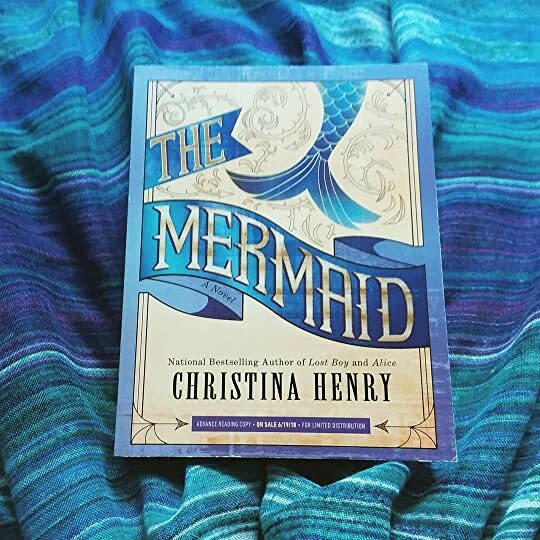 I really appreciated how Henry seamlessly wove the mermaid mythology into everyday city life. She made it feel like this could actually happen – that a wayward mermaid could wander into New York and start a life for herself. This is truly one of those stories that makes you wonder…what if? With many, many thanks to Berkley Publishing and the author for a free arc in exchange for an honest review. All quotes are from an uncorrected proof and are subject to change upon publishing.